The guys at Epic Rap Battles of History have released yet another episode for season 3. This episode features the very first comic book character and unstoppable 'Man of Steel' Superman against one of the greatest characters in Anime history, Goku. How It Should Have Ended: 'Frozen' Prince Elsa is an X-Man Mutant! The guys over at HISHE have decided to add 'Frozen' to the archives of their latest funny exploits. The HISHE guys decided to add a little X-Men style mix up to the hilarious video. Frozen is already out on DVD today, but X-Men: Days of Future Past will be reaching theaters on May 23rd, 2014. Video: How Thor: The Dark World Should have ended. 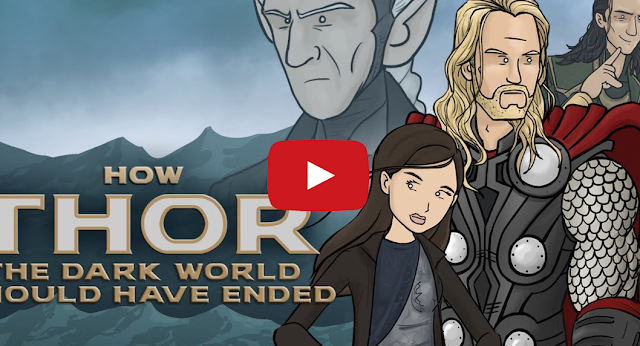 The guys at 'HISHE' decided to give their comical but true take on how 'Thor: The Dark World' should have ended. The guys at How It Should Have Ended decided to show you exactly how 'Star Trek Into Darkness' should have ended. Video: How it should Have Ended "Man of Steel"
The guys at ‘How it should Have Ended’ decided to give their version of how Zack Snyder's "Man of Steel" should have ended. This funny HISHE was unbelievable funny and it features a cameo from Batman and Aquaman.